A few years ago John and I discovered a small shop in San Antonio, Texas, that imports Talavera pottery from Puebla, Mexico. 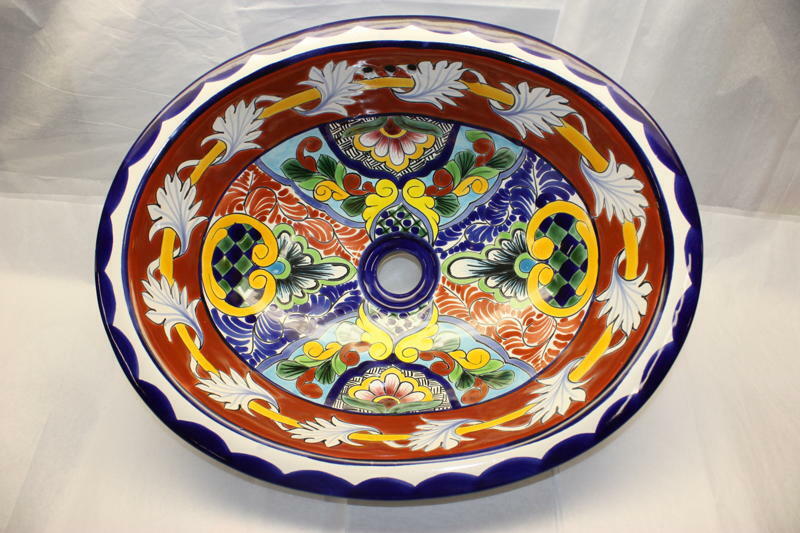 Talavera is the oldest tin-glazed ceramic in America. It is still manufactured using the same age old techniques that were used back in the 16th Century. 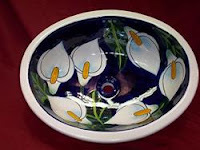 Authentic Talavera is always signed by a master potter. When we saw the quality of the ceramic sinks, we decided, right then and there, we would install them in our home in Costa Rica when it gets built. This past weekend we went back to San Antonio to the Old Mexico Imports shop in the Market Square and placed our order for the sinks we will install in the new house later this year. We selected the Cenefa pattern for the dual sinks in the master bath and the Calla Lily pattern for the guest bath. These are sample photos, similar to what we selected. We also purchased a number of matching accessories; soap dispensers, towel bars, tissue roll holder, wall hooks and tiles for the back-splashes. They estimate it will take 2-3 months for the potter to make the sinks and deliver them to Texas. We should have them in plenty of time to include them with the household goods we will be shipping to Costa Rica this summer. Holy moose-poop! Those are amazing! Countdown to Retirement: 145 Days to go!